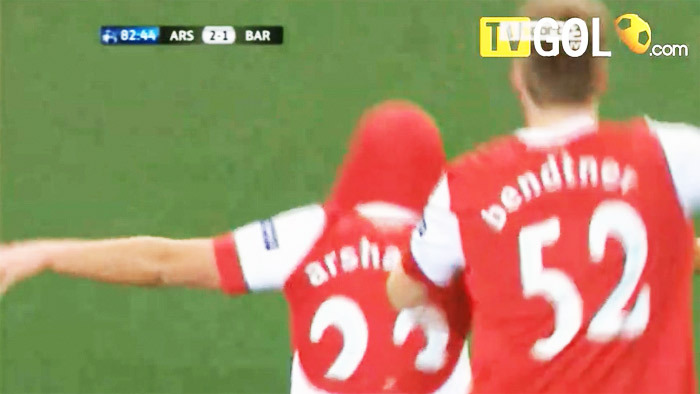 My favourite sports moment of 2011 by a country mile, and probably for a few years to come. Up the Arsenal! I put this question to Twitter and it didn’t take long before someone nailed mine. @jamescogan Worst by far: Canucks losing the Cup. That’ll be the worst for a long time to come. 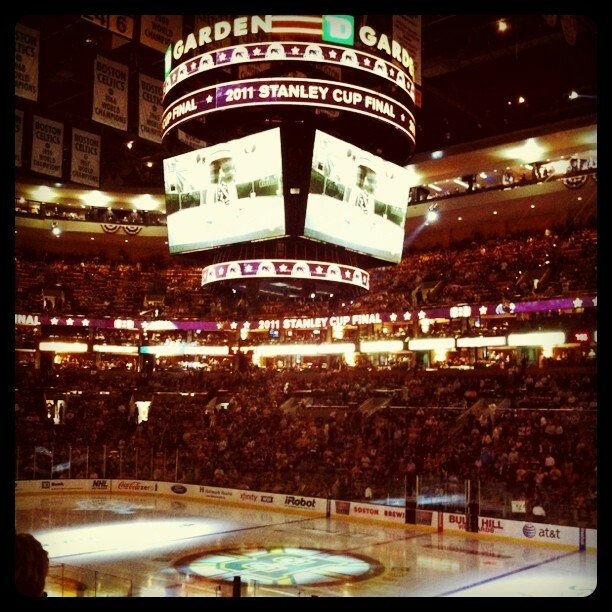 I was at the Garden for Game 3 of the Stanley Cup Finals, my first ever Stanley Cup game. Super fun trip, great company, brutal result. 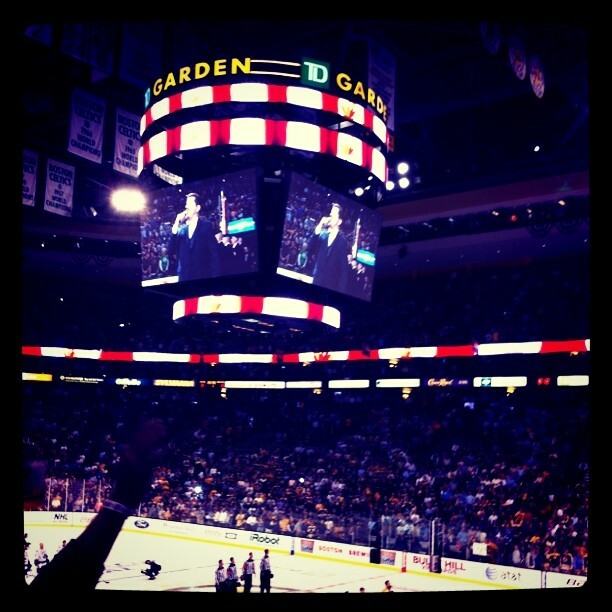 8-1 Boston, and the beginning of the end for the Canucks dream season. Ouch! Definitely qualified as my lowest sporting moment of 2011. Is Super Bowl Live Streaming a Touchdown, Field Goal or Just an Extra Point? One of the primary reasons the NFL and its broadcasting partners have resisted making an online live stream available for the biggest game of the year is viewer cannibalization. However, with big events like the Olympics and March Madness having tested the live stream waters successfully, the NFL and NBC are ready to kick the Super Bowl to the web. Canadians will be left out of the online party this time, but it won’t be long before that changes. Americans will be able to view two different streams, one with the much-hyped TV ads, and a different stream with ads targeted for the live stream only. While International viewers will be blocked, nobody in US will require a cable account to access the live stream on the web, while Verizon customers will also be granted access on their iOS or Android mobile device. Of course the one thing everybody will want to know, is how many people will actually watch the game online vs. watching it on that massive flat-panel television you got for the holidays? Time will tell, but I would be surprised if this offering didn’t serve to both expand the audience and provide a pot-pourri of insightful analytics. Note to self; make sure you draft Robert Griffin III on your fantasy football team. 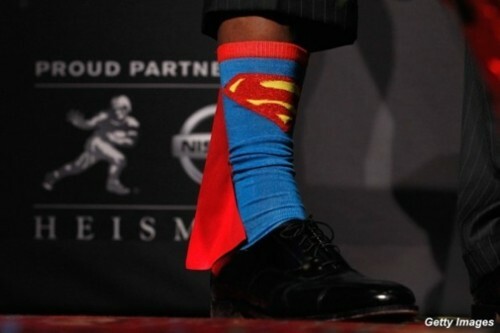 Anyone who wears these socks to a Heisman Trophy ceremony (and wins) belongs on my team. The Women’s World Cup has provided an ideal team-first antithesis while the perils of modern money-ball sport grips the NFL and NBA as they fight over billions and lock out their players. The numbers don’t lie. The Women’s World Cup semifinal match between U.S.A and France was watched by an average of 3.35 million people (U.S. Nielsen) which made it the most-viewed weekday Women’s World Cup match in U.S. history. 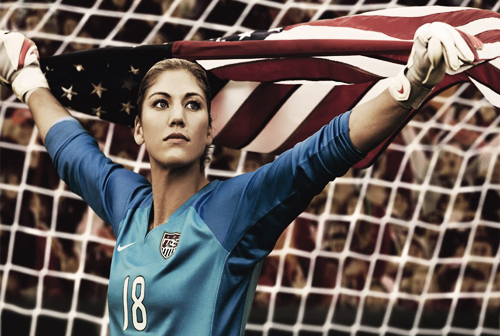 Hope Solo’s twitter account has ballooned from 10,000 followers to now 130,000+ since the tournament kicked off in June and it is doubtful the majority of Hope’s new followers are women, further stoking the growing cross-gender appeal of the tournament. ESPN’s ‘best screen available’ broadcast strategy has also had a heavy hand in the success and growing popularity of this tournament. ESPN has made live-streaming available on most tablets, computers, mobile phones and by all accounts consumers are engaging deeply on all screens. USA’s semifinal match generated almost 500,000 unique video streams most of whom were engaged for the full 2 hours. Watch Tim Connolly, VP Digital Distribution for Disney/ESPN talk about the importance of streaming Women’s World Cup games on the iPad and other mobile devices. For me it started with the Korea/Japan World Cup in 2002. Which is to say that I didn’t watch (and to be honest, care) much about European football prior to watching Brazil’s prolific run toward claiming their fifth World Cup title 8 years ago. But since then, I’ve been bit by the footy bug. You certainly don’t need to be a lad from London to follow footy anymore. This year marked the first time I watched every Arsenal game. Thanks to a pot pourri of specialty channels, PVR, online video streaming, blogs, and 24/7 news feeds – no fan is left behind or left out in a media-everywhere-anytime world. Great days for sports fans to be sure, and very, very profitable days for sports teams who are cashing in big on extending their product to new markets. Exactly one month from today on June 11th, the World Cup thriller starts anew and while Canada’s national team will be absent, there will be a major Canadian contribution to the festivities. By now, I’m sure you’ve heard some of K’naan’s work. Multiple Juno Awards, plenty of global music awards and recognition, and sold out live shows at big venues are now the norm for this creative powerhouse musician. But it wasn’t always like this for K’naan who grew up in war-torn Somalia before immigrating to Canada. K’naan didn’t even speak English when he moved to Toronto at the age of 13. Vancouver-based new media maven Megan Cole posted this superb interview a few years ago (2007) at a time when K’naan’s star was just starting to rise. I really enjoyed watching this video about Marquise Walker, a young basketball phenom and his father. Not only is the kid quite a special talent, but the story behind the story is equally if not more fascinating than what this kid can do with a basketball at such a young age. The father is using YouTube and a carefully crafted marketing strategy (that started when Marquise was 2!) to get his son national exposure and a genuine shot at a career in basketball. As a self-professed fantasy sports junkie for over 20 years, I’ve always followed the fantasy industry and have marveled at how something that was a fringe, little-known hobby in the late 1980’s has now blossomed into a multi-billion dollar annual industry. I remember being a young teenager and waking up at 5:30am on Monday mornings to greet the paperboy so I could anxiously get access to the boxscores and statistics that were only available in the daily newspapers. Today, you can have just about every statistic imaginable at your fingertips the moment it happens 24/7, thanks to the internet. The internet is ‘the’ reason fantasy sports has reached such widespread popularity. How serious are fantasy sports players about managing their teams? Very serious. The Wall Street Journal recently covered a stats venture called Inside Edge that has helped Major League Baseball teams win the world series, and are now focused on giving fantasy players access to the same ‘insider’ information the professional teams use. Inside Edge would also contribute to the next four World Series champions – the Yankees from 1998 to 2000 and the Arizona Diamondbacks, who signed up before the 2001 season. Now they hope the general public will also pay for their services. As an example, they point to their “well-hit average” statistic charting how often a hitter hits the ball hard (whether he reaches base or not). “The average hitter has a batting average of .262 and a well-hit average of .230,” according to says Kenny Kendrena, Inside Edge’s product and marketing director. Examining batters with a lower batting average and a higher well-hit average should lead the fantasy owner to some players who are just getting unlucky and due for a breakout. According to Inside Edge’s numbers, this season’s least lucky players are the Orioles’ Ramon Hernandez (.240 BA, .302 WHA), the Pirates’ Adam LaRoche (.221 BA, .269 WHA) and Jim Thome of the White Sox (.227 BA, .261 WHA). The company couldn’t have its stats without its scouting. Inside Edge employs 30 to 35 former professional baseball players, mostly guys who never made it out of the minors. (“Chad Curtis’s brother works for us,” says Mr. Istre.) They chart every pitch and every swing of every big-league game. That sounds easy, but it can be maddeningly complicated. Imagine Barry Zito pitching to Jason Bay. Say Mr. Zito throws a curveball out of the strike zone with his first pitch, Mr. Bay makes good enough contact for it to be a hit, but Omar Vizquel makes a great play and throws Mr. Bay out. For a scorekeeper, it’s recorded as a simple out. But an Inside Edge scout has to note that Mr. Zito threw a curveball, that it was the first pitch, that Mr. Bay swung at a pitch outside of the zone (which ups his overall “chase percentage” while counting as a pitch out of the zone for Mr. Zito), that it was well-hit (upping Mr. Bay’s “well-hit average”) and that it was recorded as an out. And all of this has to be noted before Mr. Zito throws his next pitch. Yes, the Wall Street Journal now has a ‘Fantasy Sports Expert’ on staff. Football talk in May? It’s NBC’s turn to broadcast the Super Bowl in 2009 and they are wasting little time setting the bar on advertising rates for America’s biggest spectacle. Fresh off last year’s record-breaking TV ratings (most watched sporting event in U.S. history), NBC will be asking $3 million for a 30-second ad spot which represents a 10%+ spike over last year’s rates. In an era where all media is being cannibalized by the web, live sports represents one of television’s last bastions of utility. Depending on who you ask, live events may be the only segment of the content spectrum to thrive on television as more and more programming migrates online. In 15 years, broadcast television will only be useful for high-profile live events like the Super Bowl, awards shows and programs like “American Idol,” Ben Silverman, co-chairman of NBC Entertainment. Will one of the Apple Tablet Commandments be ‘Thou shalt not overcharge for digital content’?